Finest Quality, hand made in Germany using a fifty step process and with a keen attention to detail, this smooth black calf leather watch strap is thick with a cut edge finish and rice coloured detail stitching. 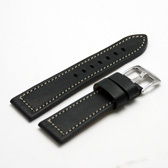 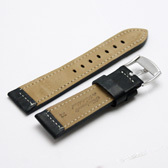 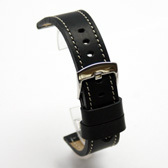 This strap is also available with a pad for aviator style watches here. 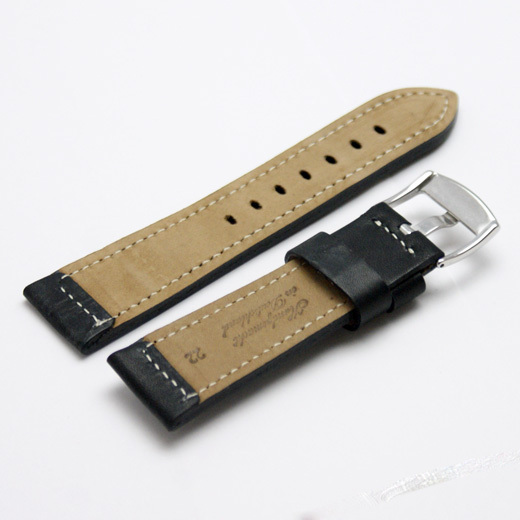 The version on this page does not have a pad, it is just the strap as shown above.